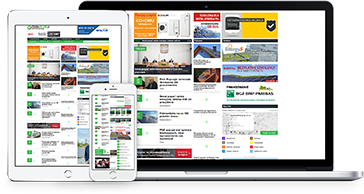 Gramwzielone.pl is a leading Poland's medium on green energy which provides professionals from the Polish renewable energy sectors with detailed, every-day information on current developments on the Polish and global renewable energy industries. As our service is systematically visited by thousands of Polish professionals interested in green energy solutions, advertisement on our site may enable your company finding new clients and business contacts on the fast growing Polish renewable energy market. We work also as a consultancy for foreign companies which are interested in gathering data on the various Polish green energy sectors. Since 2010 we have been providing tailored data bases and market analysis on the particular aspects of the Polish RES industries to the companies from Germany, Czech Republic, Spain, the Netherlands, France, Denmark, Finland and Great Britain. If you are interested in taking part in the prospective Polish RES business, we may share with you our knowledge and provide you with contacts in Poland's renewable energy market. We look forward to introducing you to the renewable energy market in Poland!